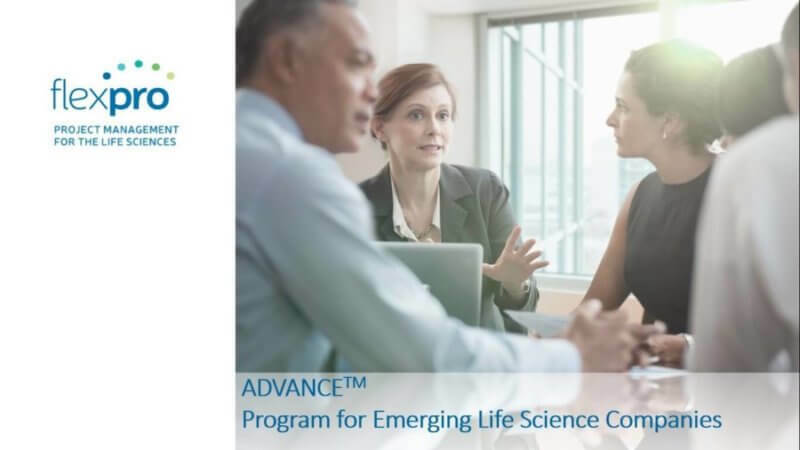 Introducing The FlexPro ADVANCE™ Program for Emerging Life Science Companies! Our goal is a simple one: To guide you, your company, and your cause to the desired destination on-budget and on-time. Finding the right fit for your company is what’s most critical here, and it’s our chief concern. ADVANCE™ is a tailored solution built to accommodate your culture, your team, and your goals. This project management program utilizes a modern toolkit created with industry-certified best practices at its core and your day-to-day needs in mind. 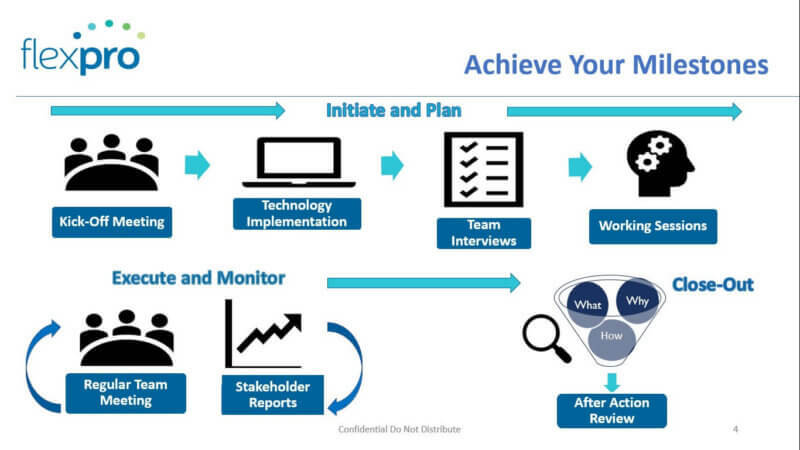 The roadmap to success begins with a plan, and our Project Plan charts the course from the very start. 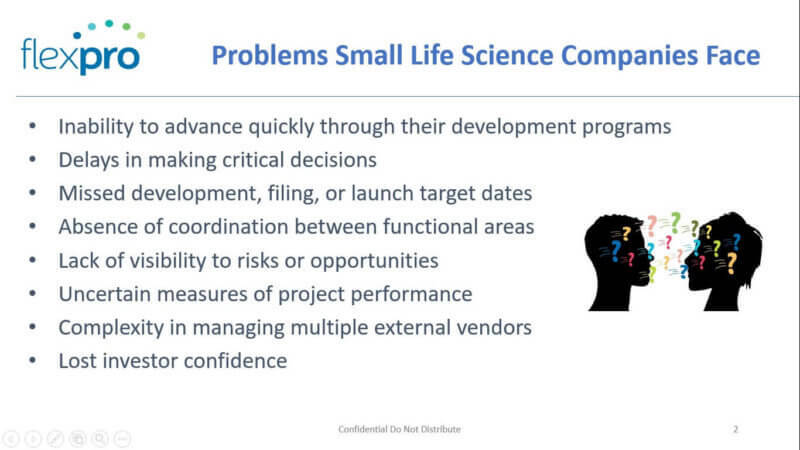 The problems growing life sciences companies face often fit into five buckets that can all derail an idea before it leaves the whiteboard: Time, Execution, Communication, Metrics & Reporting, and External Pressure. To make projects even more challenging, these issues rarely exist alone. Each individual problem can fall into others, creating a domino effect that can leave even the brightest idea in darkness. 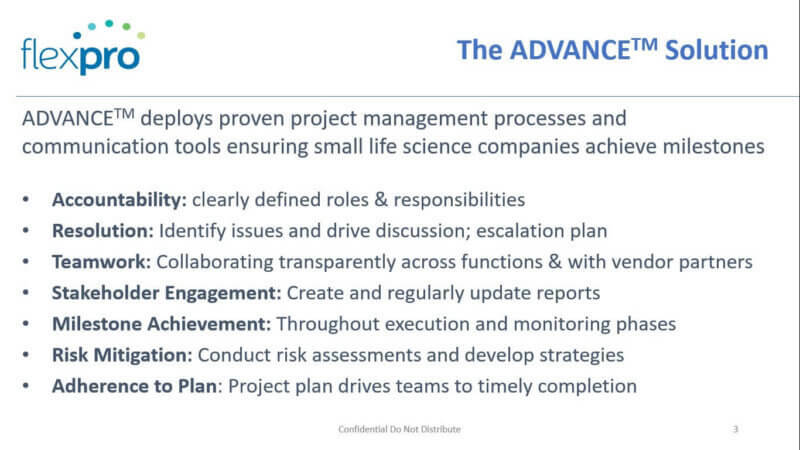 The ADVANCE™ Solution, where our experts deploy proven project management processes and communication tools ensuring small life science companies achieve milestones. Our aim is to not only effectively manage your team, but to create a lasting culture of excellence, accountability, and communication. Comprehensive enough where nothing is left unaccounted for, but simple enough to fit your company in just a few short weeks. Visually represented, ADVANCE™ is separated into three distinct phases that draw from the areas of sound project management practice. Our project managers lead and model the way through critical planning stages, strict adherence to timelines, and the often-neglected closing phase. 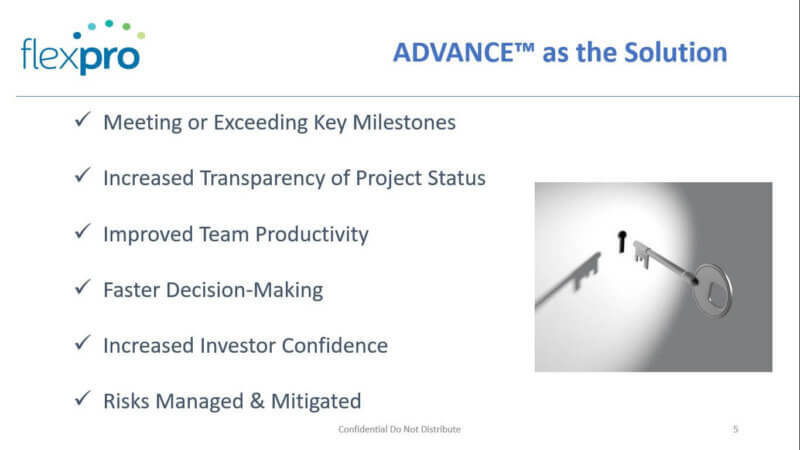 The benefits of ADVANCE™ begin with delivering what’s been promised, but extend far beyond the expert execution of your strategy. With a steady hand at the helm of your project, you can move forward with confidence as a united team works to meet milestones and blazes the path for future success.